We’re already halfway through 2018 and there have been many happenings at Warner Design Associates! Get the latest scoop on what we’re up to below. Join us in welcoming our three new team members, Kao Vang, Hannah Peterson and Evelyn Angulo! Cao comes to WDA with a background in healthcare interiors, and Hannah as a recent graduate from Iowa State University. (Fun fact: Hannah recently completed interior design internship in Dubai, United Arab Emirates!) Both Kao and Hannah will be working with us as interior designers. We’re also thrilled to be recently joined by Evelyn, who is supporting our purchasing and admin team. We’re continuously staying abreast of industry news and trends – which is why you’ll often find us at conferences and trade shows! Earlier this year attended events in the senior living & design industry including the Environments for Aging (EFA) Conference in Savannah, Georgia and the California Assisted Living Association (CALA) in Sacramento, California. This month find us at the Las Vegas Wholesale Furniture Trade Show. If you follow us on social media (find us on Facebook, Instagram and LinkedIn) , you’ll see that we’re often up to something fun! Whether it’s company outings as the team or with clients, fun lunches, or celebrating holidays. This year, we went all out for the Kentucky Derby (see photos here!). 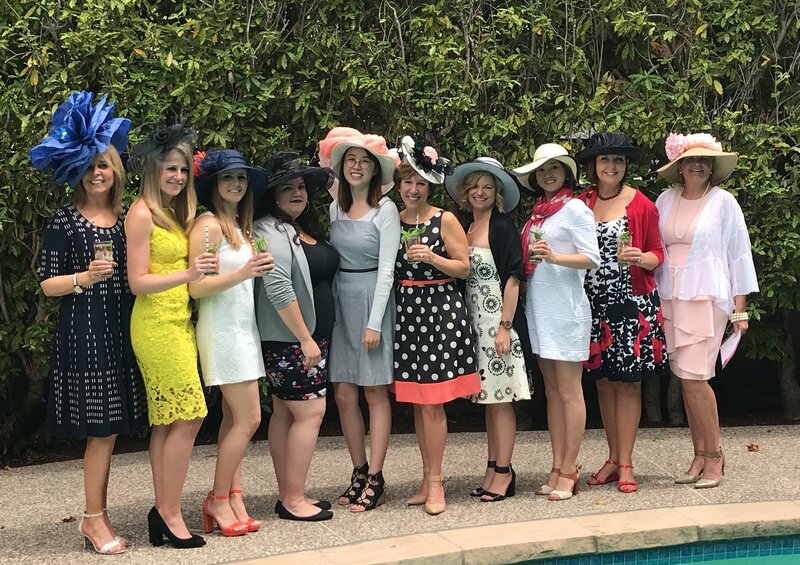 Dressed in our Kentucky Derby finest, we enjoyed mint juleps in our official 144th Derby glasses, had a hat contest and betting pool, and played Derby Bingo and a comical game of “pin the tail on the filly.” What can we say – we love to have fun together! With the second half of 2018 already upon us, we’re looking forward to continued growth, knowledge and keeping in touch with our friends, colleagues and clients like you.